Scented only with pure oils, petals and resins. We know how difficult shopping for aromatics online can be. That's why we've put together the complete Pure Perfume Oils incense sample pack. Discover your favourite fragrance. 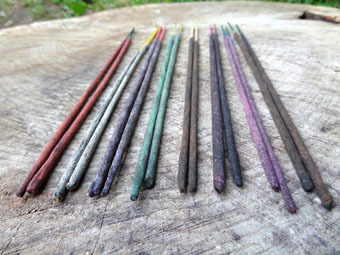 26 sticks in total, each pack contains two labelled sticks of each scent in our ultimate range. 13 different scents in total. Assam Agarwood, Bergamot, Blue Lotus, Cardamom & Vanilla, Cedarwood, Dark Patchouli, Frankincense, French Lavender, Golden Champa, Jasmine, Mysore Sandalwood, Pine & Cinnamon, Pink Rose, Scottish Pine & Ylang Ylang. 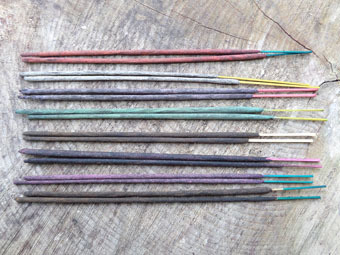 Size - 8" long sticks, each stick weighs a little under a gram. Burn time - 35 - 50 minutes, depending on the fragrance. 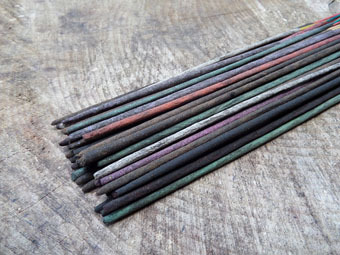 Our newest line, this ultimate incense is made using, almost unbelievably, three times more pure essential oil than our absolute variety. We're confident that this is the best agarwood incense in the world. 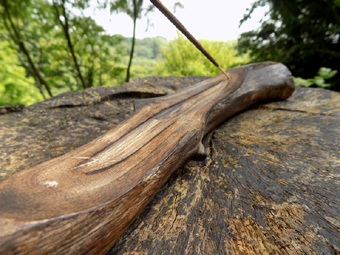 No other incense we've crafted, or experienced, comes this close to the true nature of a scent.